What better way to celebrate the union of a couple that met in Newark with a really Newark-centric wedding. Tamara, the publisher of NewarkPulse.com, met her husband, Kai Campbell, Newark-born and raised real-estate and small business developer at the launch of GlocallyNewark.com in downtown Newark. They wed in May with their ceremony at St. Patrick's Pro Cathedral on Washington Street and then moved to dance the night away at the Mezzanine at 744 Broad Street along the way they took portraits at their favorite places: Halsey Street, Paramount Theater and Penn Station. 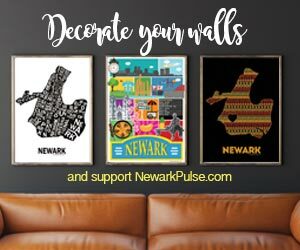 The couple wanted to use as many Newark vendors to promote the city where they met, now live and love! Here's just some of them.